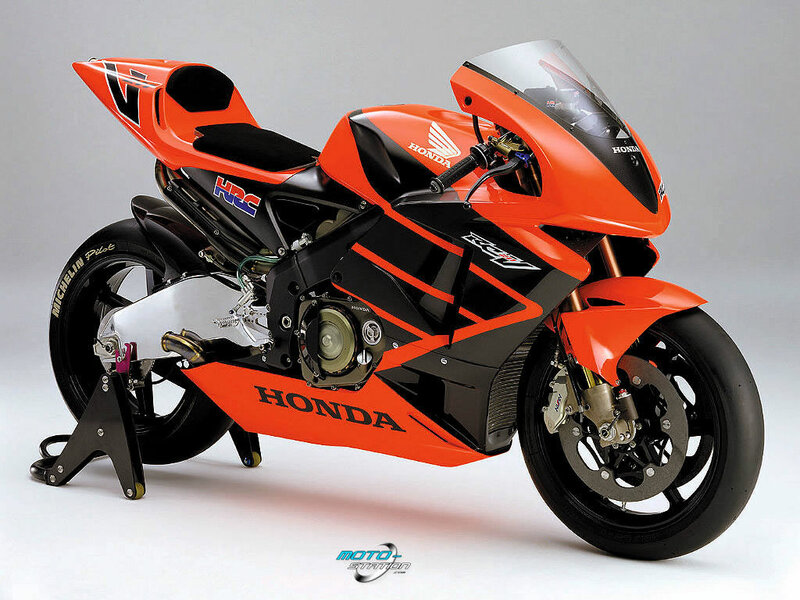 When the RC211V was released to the World's media in late 2001, it was the biggest sensation in racing motorcycle design this millennium. 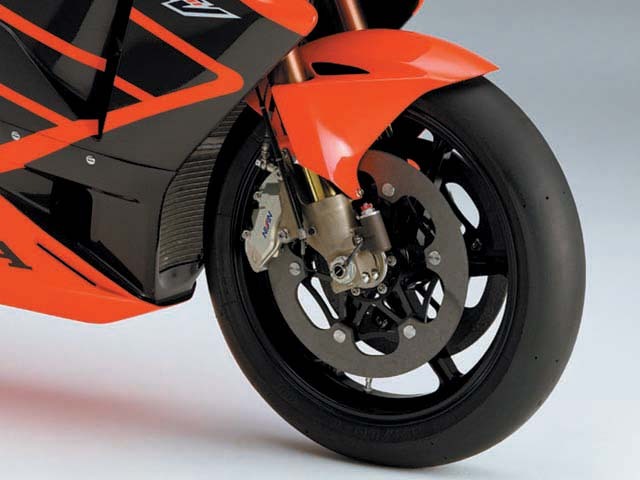 Nothing has really come close in terms of impact both visually and technically and few were surprised when it went on to win the first two Moto GP championships. 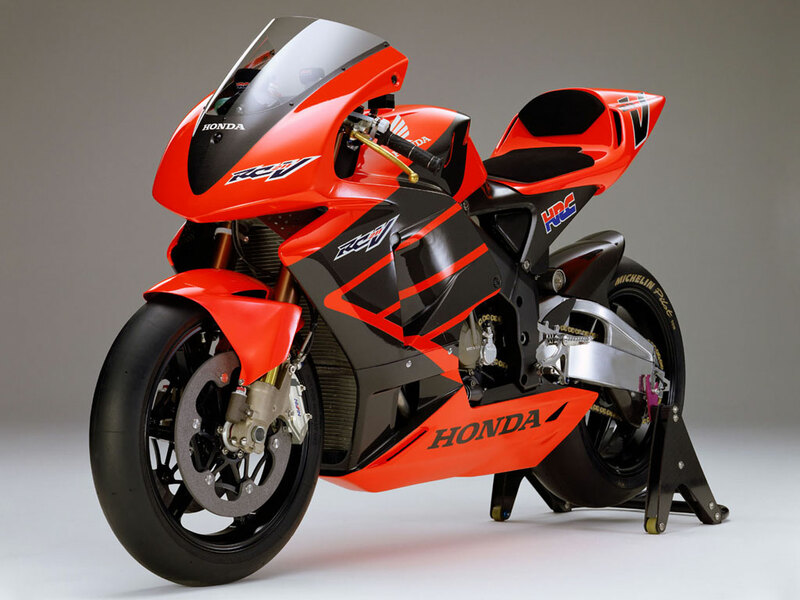 The paint scheme chosen for the release was very Honda, with slight hints of NR750 with its use of carbon fiber and bright red paint. 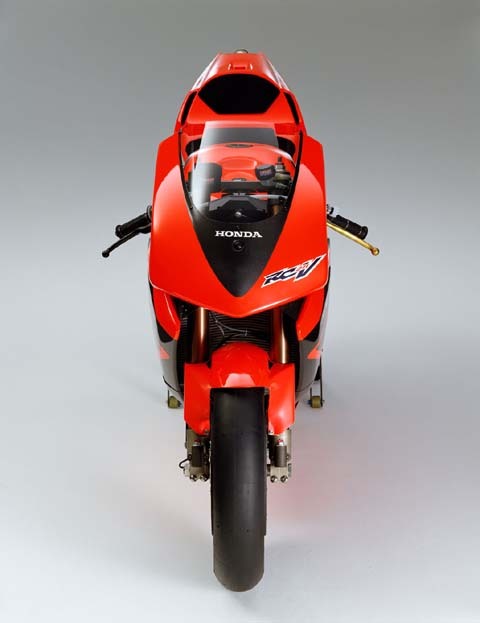 It also incorporated the bold use of their Honda wing emblem, which in various guises has been used in the company's sportsbike range ever since. 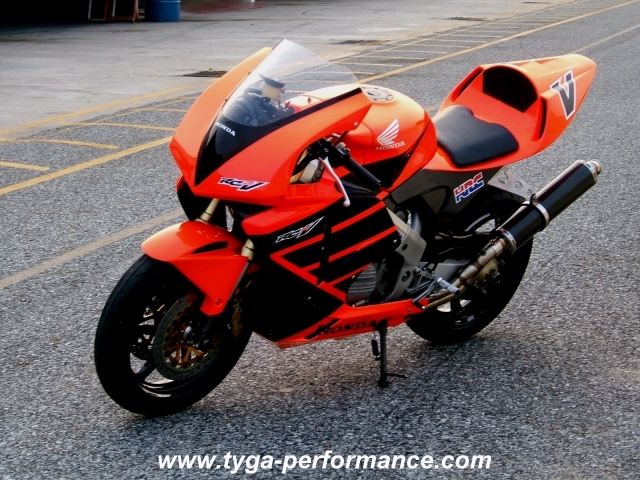 In my opinion, this scheme accentuates the radical lines and silhouette of the bike which subsequent schemes have not really been able to match and is therefore the perfect choice to show our TYGA Performance RC211V replica bodywork. 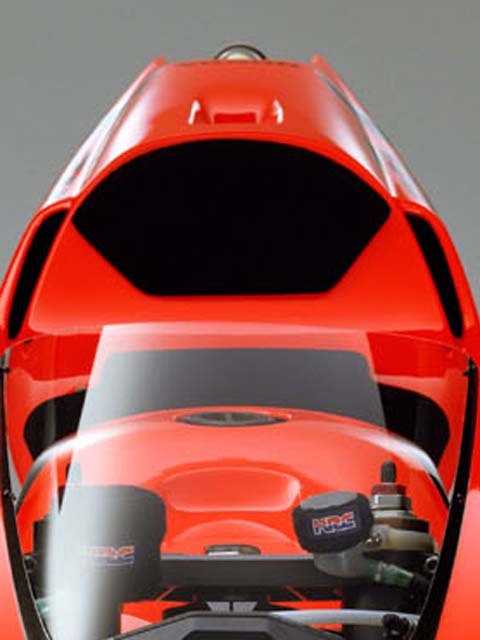 There are also a couple of other good reasons to make a RC211V replica with race only bodywork. 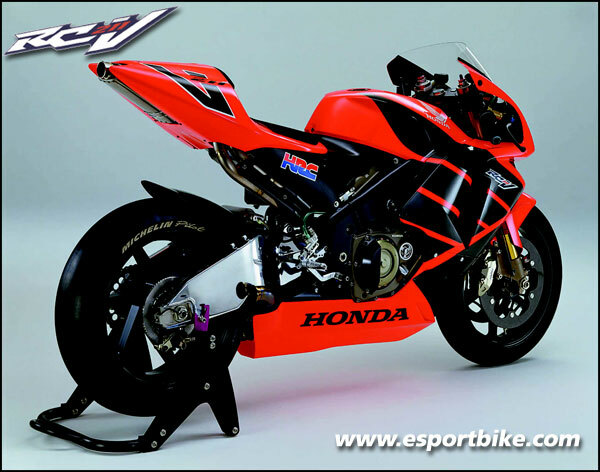 One is, that we wanted to show what you can achieve for a track day bike. 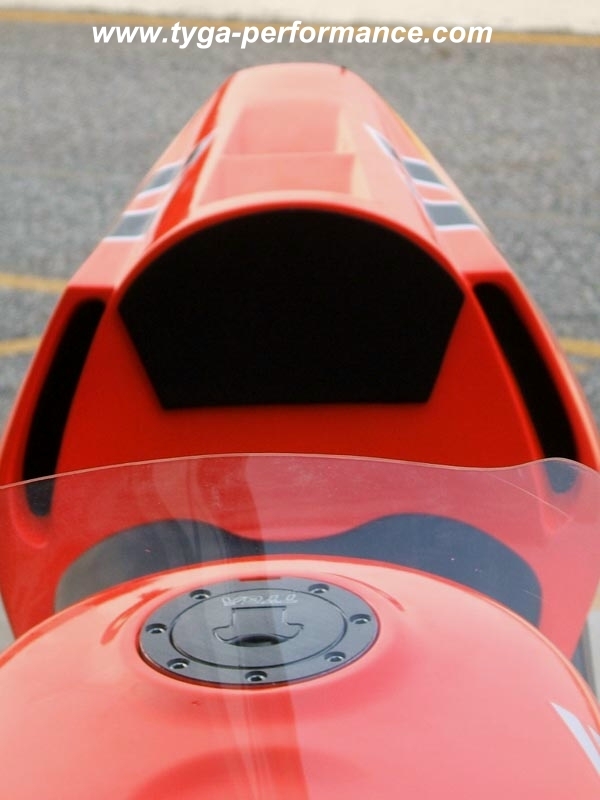 Also, from the feedback we got on our bodywork, we realised that a few people still didn't 'get it'. 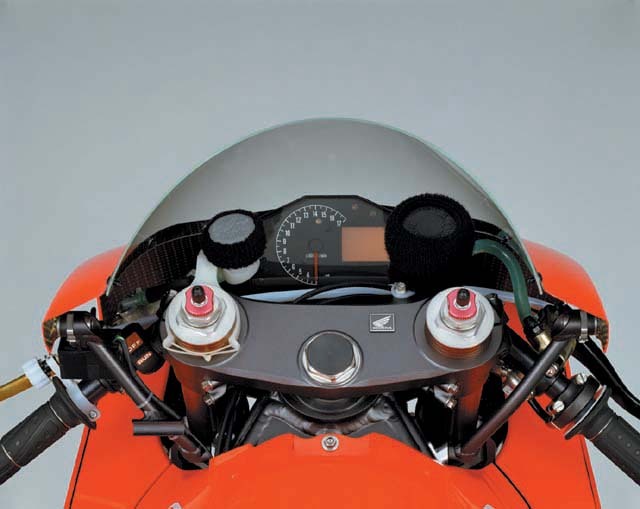 Some couldn't even see why we called it the RC211V look. I think after looking at the pictures on the left and comparing them with the ones on the right they should see where we were coming from though. 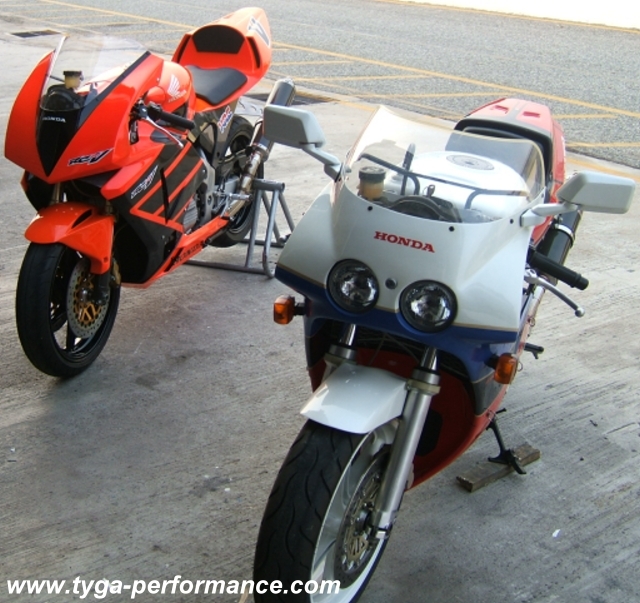 Ok, it isn't exactly the same, but then we are working on around one thousandth of Honda's budget using an existing 10 year old model. You be the judge. Some explanation of the paint; it is fluorescent red according to the label on the spray can. Well, it came out almost orange but this depends on the light. One thing is for sure, it is very bright and the computer screen certainly doesn't do it justice. The paint was actually applied using a spray gun and applied over an orange base. (Usually you use a white base with fluorescents) This was to ensure that even with some inevitable fade from the tropical sun, there will still be some colour. 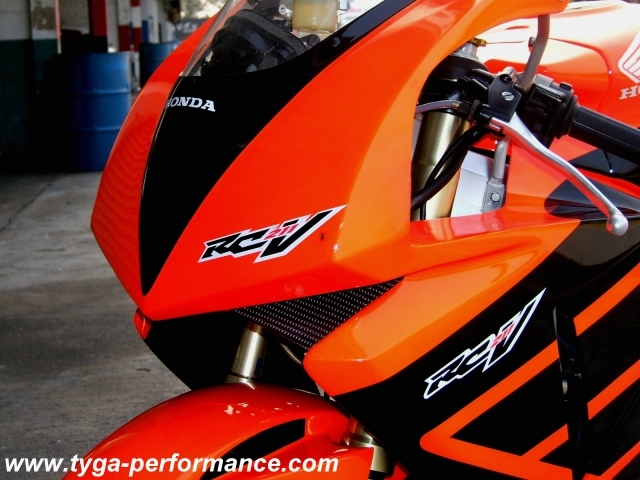 The real RC211V uses carbon bodywork, but we had to make do with black paint and some carbon sheet. 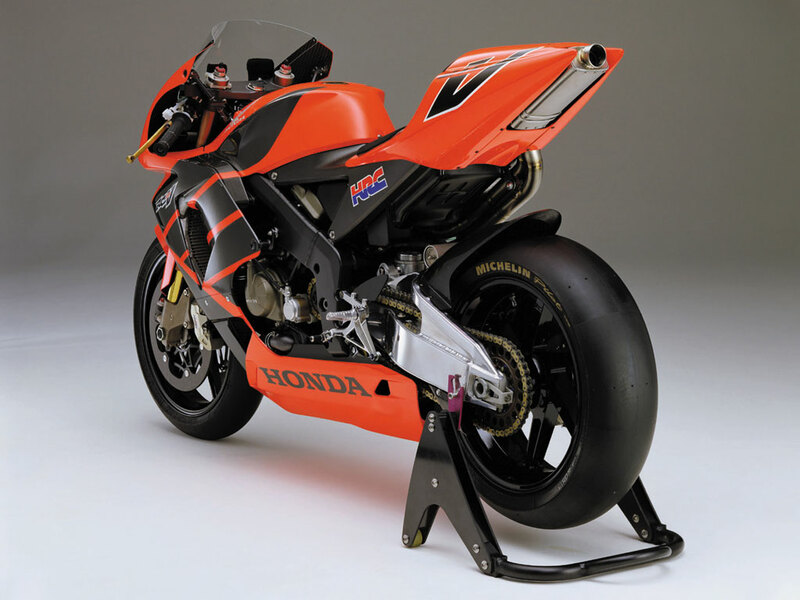 Our plan was to add a touch of carbon here and there and we will be using this bike to showcase our various new carbon products in the coming months. 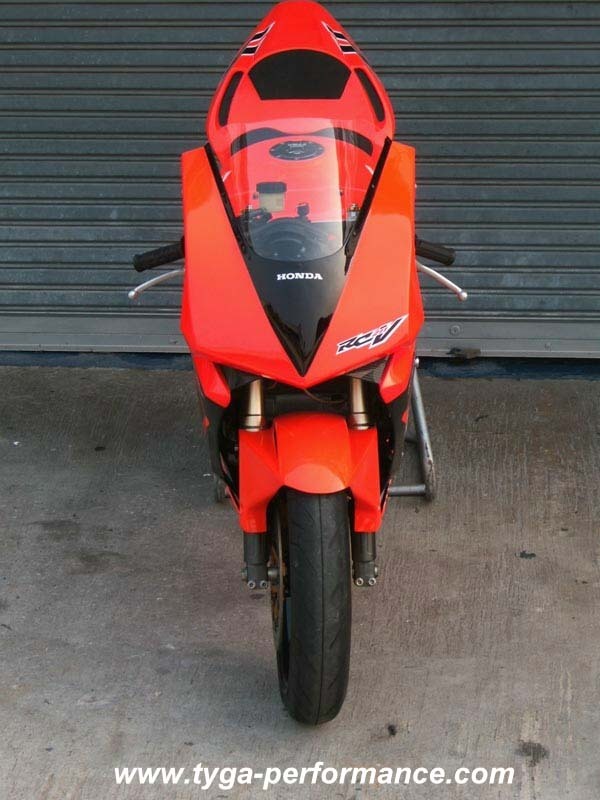 For the future, we have a couple of other major modifications planned for this bike; so watch this space! 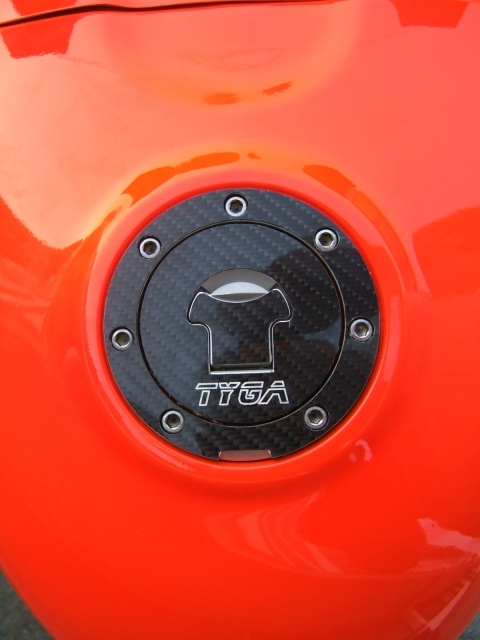 Carbon Fiber is used extensively on this bike including instrument surround, tank filler cap cover, air intake ducts and parts of seat cowling all supplied by Tyga Performance. Upper Stay, NC35 RC211V Style Type, Assy.